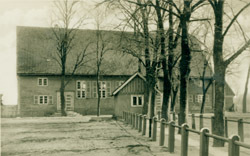 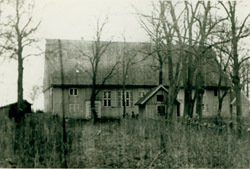 Description: Heubuden Mennonite church building; postcard "B 467"
Description: "16. 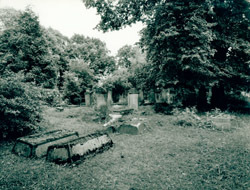 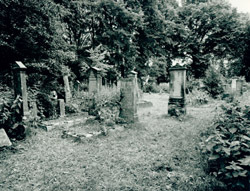 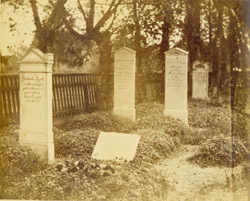 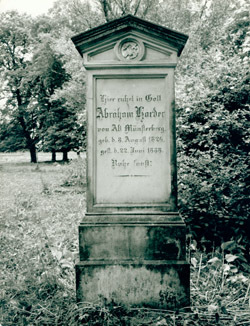 Friedhof in Heubuden. 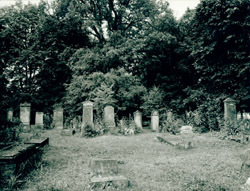 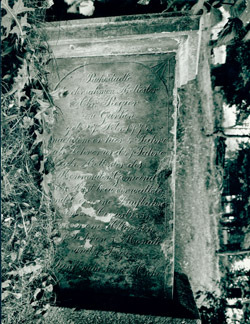 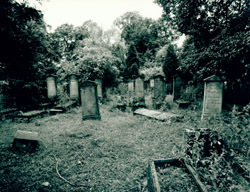 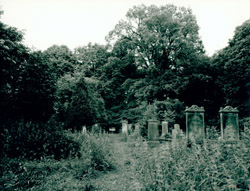 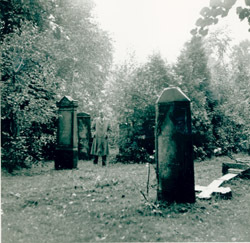 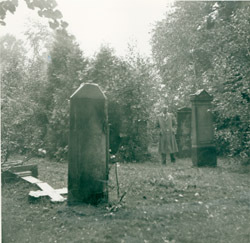 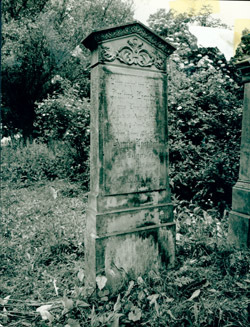 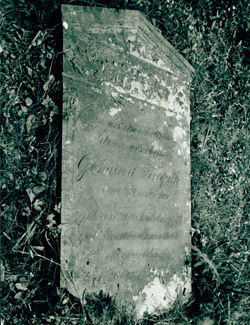 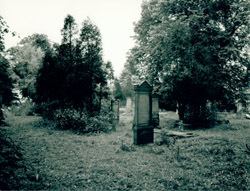 Cemetery in Heubuden. 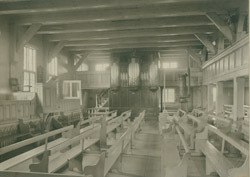 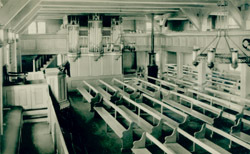 "; man is probably Peter J. Dyck; rubber-stamped on back "Property of Mennonite Central Committee, Return Promptly - Akron, Pa."
Description: Interior view of Heubuden Mennonite church building; good view of pipe organ; postcard "B 467"